For the event 'Define Yourself - Definition of Space', the artists were invited to create a site-specific work in one of the empty buildings in the old harbor district of Deventer (NL). Each artist worked with an entire building or factory. I worked in a 18 x 30 meters large empty warehouse. 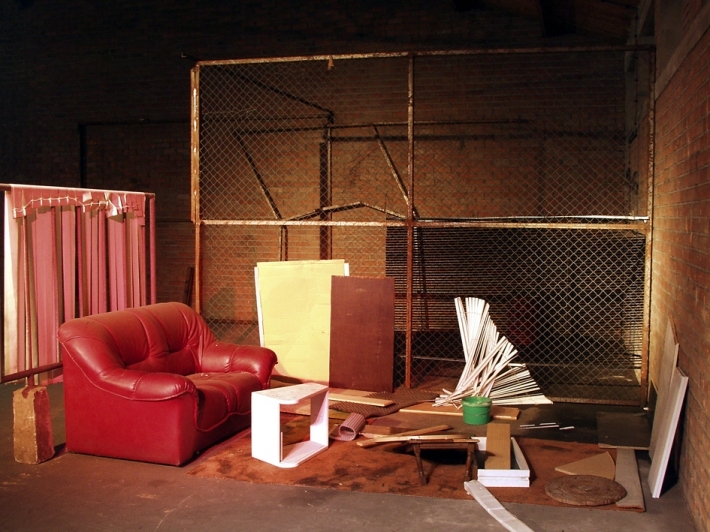 The only objects I found in a corner of the empty warehouse were scraps of wood and metal, various slats and strips, Venetian blinds and a couch creating a sitting-nook. It seemed an attempt had been made to create a sheltered corner in the large, cold warehouse. For the installation ‘Deventer I, starlings over landscape' I lit the sitting-nook with theater lights programmed to alternate colors. 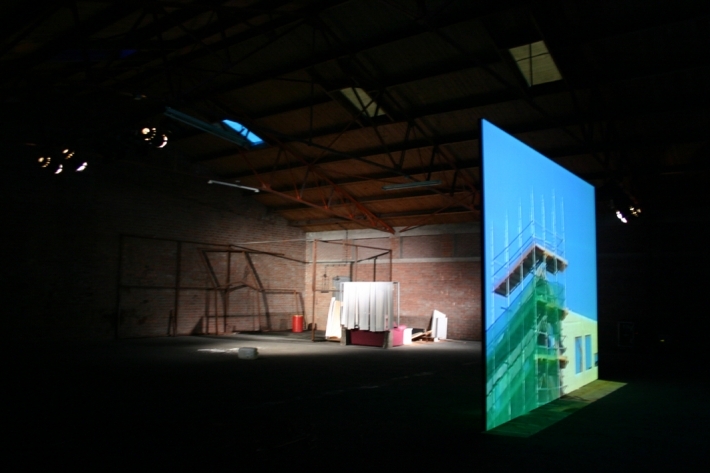 I placed a large transparent screen next to it showing the video-projection 'Deventer' with cityscapes and landscapes in and around Deventer; images of so-called 'non-places' and new companies being build at the outskirts of the city. 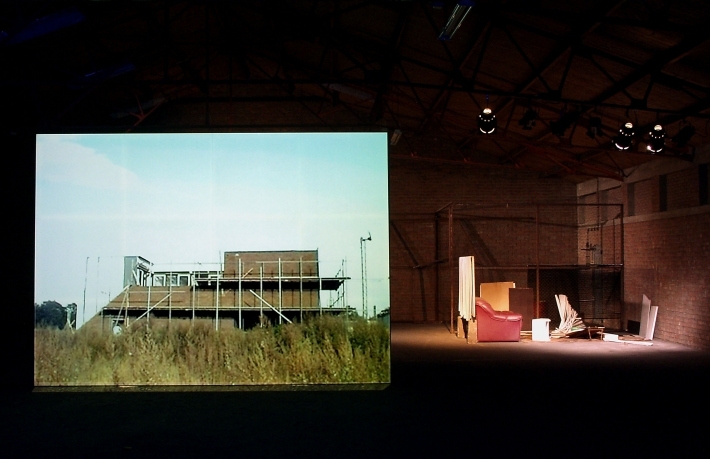 It shows two realities next to each other, both just as clear, large and desolate: the pinpoint-sharp video-images of the exterior on the large screen, next to the reality of the intimate sitting-area in alternating colored and neutral lights. Both just as realistic as unreal. The sense of the unreal being emphasized, because I darkened the skylights of the warehouse with colored foil, turning the warehouse into a giant film-set.